Igor Levit www.igorlevit.com displayed superb musicianship in his performances of Beethoven’s five last piano sonatas on his debut release for Sony Classical which I reviewed back in January this year. 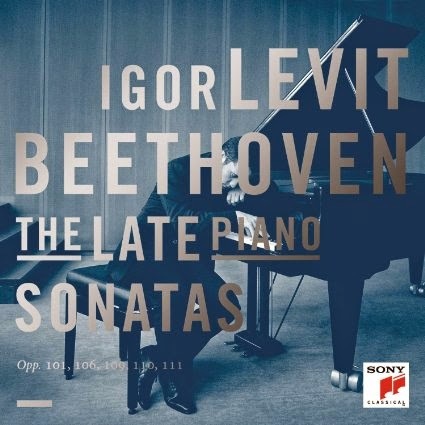 Now from Sony www.sonymasterworks.com we have a 2 CD set of Igor Levit playing Bach’s Partitas BWV 825-830. The Praeludium of Partita No. 1 in B-Flat Major, BWV 825 is beautifully paced with Levit’s lovely phrases allowing Bach’s superb invention to unfold. In the Allemande there is a fine flow, with a tremendous clarity that seems wholly natural as the contrapuntal lines appear with a joyful rhythmic quality. Already one can sense this is very fine Bach. In the Corrente it is Levit’s handling of Bach’s rhythmic quality that, again, comes through; lithe, light, bouncing yet always achieving a remarkable clarity, yet with an intoxicating forward momentum. Levit brings his thoughtfulness and poetry to the Sarabande with such fine presentation of Bach’s ideas. He shapes and develops the music brilliantly. The beautifully pointed up Menuet I & II are terrific with a lovely ebb and flow before the sparkling Gigue, crisp, lively and full of charm with, again, such fine touch and phrasing. The depth and concentration Levit brings is exceptional. There is such a well-controlled Sinfonia to open Partita No. 2 in C Minor, BWV 826 with subtle shadings and Levit’s exquisite phrasing and forward drive in the later stages where one can’t help but be entranced. The Allemande flows with a lovely cantabile before the Courante where Levit lays out the varying phrases so finely, keeping the overall flow. The Sarabande follows the Courante so well, slow and exceptionally well phrased. There is a beautifully light and buoyant Rondeaux with a fine ending that leads so well into the concluding Capriccio that receives a spellbinding performance here, second to none, a real joy. There is more lovely phrasing and shaping to the Ouverture of Partita No. 4 in D Major, BWV 828 with pinpoint clarity of textures and line. The gorgeously limpid Allemande really embraces Bach’s ever flowing invention, superbly realised by Levit. The Courante has vibrant, beautifully sprung phrases before the Aria where Levit finely draws the musical lines. There is lovely shaping and phrasing of the Sarabande with this pianist maintaining a natural forward movement. There is some terrific, delicately phrased playing in the Menuet, with nicely nuanced phrases and, in the Gigue terrific panache as Levit hurtles to the coda. The second disc opens with Partita No. 3 in A Minor, BWV 827 where the Fantasia has a lovely sense of freedom and flow, something that equally applies to the Allemande with Levit’s finely held musical lines. The Courante moves forward with a sense of urgency before the thoughtful and beguiling Sarabande. The Burlesca is full of energy and momentum with Levit’s fine touch and articulation shown to great effect. In the Scherzo the music moves forward with even more stunning forward drive before the Gigue that brings an equally fine forward flow, with an unstoppable nature. The Partita No. 5 in G Major, BWV 829 brings beautifully precise and articulate playing before the Praeambulum that pulls one in immediately. There is a gently flowing Allemande and a brilliant Courante before Levit brings more of his thoughtful sensitivity to the Sarabande with some exquisite playing. The Tempo di Minuetto is light, gossamer in texture, absolutely superb. Levit’s subtle rubato is to the fore in the crisp, beautifully phrased Passepied before the concluding Gigue arrives with a subtle ebb and flow as Levit quickly moves the music to its conclusion with an unstoppable forward momentum. There are some beautiful moments as the Toccata of Partita No. 6 in E Minor, BWV 830 makes its way through to a particularly fine conclusion. Levit brings all his delicacy and subtlety and exemplary phrasing to the Allemande with a freedom too. The Corrente has a terrific flow, with some lovely little flourishes before the beautiful simplicity of the Air. The Sarabande has a lovely natural flow and freedom to which the Tempo di Gavotta makes a lovely contrast with Levit’s terrific sprung rhythms and lovely little details. This pianist brings a fine conclusion to these works with the final Gigue, bringing all his exceptional skills as a Bach interpreter. 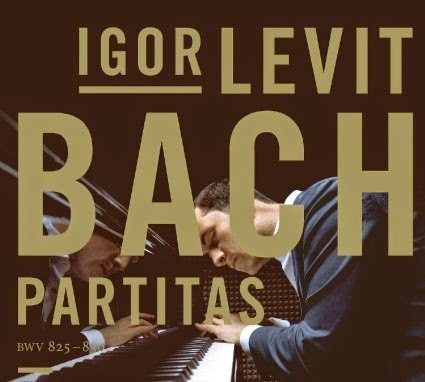 I could use every superlative to praise Levit whose new recording must be one of the most desirable Bach keyboard discs for a long time. His playing is so refined, rhythmically secure, with lovely phrasing and an ability to realise the structure of the music so well – all attributes that I remarked upon when reviewing his Beethoven. There are, of course, those who do not like their Bach played on a modern piano, preferring harpsichord performances. This would be a tremendous pity given the exceptional musicality of these readings. Levit is finely recorded and there are interesting and informative booklet notes.